Does anyone know if there is a difference between the copy with an image of his face and this one? One of the greatest albums of all time in my book. 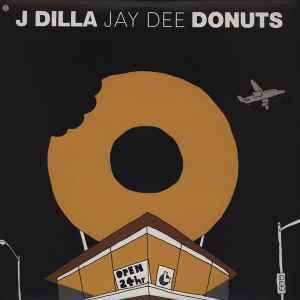 I bought a used copy with the donut cover, but the center labels look like the ones from https://www.discogs.com/J-Dilla-Donuts/release/2914567 with grey graphics and Time: The Donut of the Heart written across two lines on the b side. Anyone know which release that is? Is it put together from two separate releases? WTF?? ? This pricing is ridiculous!!! . . .
Why the hell is this on sale for $100? There seem to be different pressings from the same period. I bought my copy in 2006 but the matrix runout is STH-2126 A RE I etc. Anyone have a version of the 2006 LP release where the barcode is slightly different? 659457212650 instead of 659457212629? A truly beautiful piece of music from a supremely gifted producer. So many wonderful moments yet hangs together wonderfully. Probably favourite album of all time - finally got it on vinyl. Delicious.